Radwan produced and adapted literature works and theatre scripts for Syrian theatres and companies such as ‘Carnival’ in 1998 and ‘Titi Titi’ 2010. His short story ‘The Capital of Respect’ won the Arab Writers Union Short Story Award in 2001. ‘Hablaham and Bangolas’, his first short story collection, won the first place in Hanna Mina Competition for Short Story in 2003, and was published by the Syrian Ministry of Culture in 2004. His theatre script ‘Pollination’ received the third place in Al-Mazraa Prize for Play-writing in 2002. 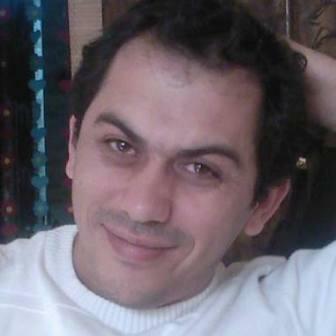 He directed theatre performances for several troupes in Aleppo: ‘Foursome’ for Youth Theatre Team in 2001, where he was a member between 2000 – 2004. And ‘Curtains’ for Laborers Theatre Troupe in 2002, in addition to ‘Tom and Jerry’, a private production in 2008. He adapted and wrote scripts for local radio programs, and wrote two films in 2013 “Intensive Care’ and ‘A Martyr’s Birthday’. Lately, his press stories were published on Metrography’s ‘Map of Displacement’, translated into English. He Joined Leish Troupe in 2004.